My family has always really liked the Thomas Tank products. So I was pleased to find this toy for toddlers. Have you got a little one who loves trains? 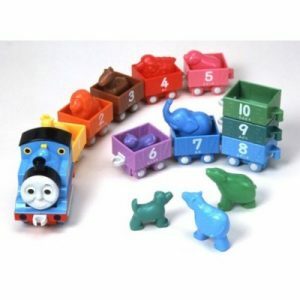 We have been major investors in the Thomas Tank track and trains …. !!! My toy cupboard is testimony to it!! I like the way the carriages make a number tower!